Danai Gurira, Jeremy Renner, Director Anthony Russo, Chris Evans, Director Joe Russo, Brie Larson, Mark Ruffalo, Karen Gillan, Paul Rudd, Scarlett Johansson, President of Marvel Studios/Producer Kevin Feige, Robert Downey Jr., Don Cheadle and Chris Hemsworth onstage during Marvel Studios' "Avengers: Endgame" Global Junket Press Conference at the InterContinental Los Angeles Downtown on April 7, 2019, in Los Angeles. Disney and Marvel’s latest, “Captain Marvel,” which takes place in 1995, has grossed over $900 million. Marvel's Kevin Feige has suggested that after ‘Avengers: Endgame’ the Disney movie studio will focus on more narratives set in the past. Disney’s big blockbuster franchise ‘Star Wars’ released a prequel in 2017, ‘Solo’, but was considered a big box-office disappointment. “Avengers: Endgame” is coming out on April 26, but that hasn’t stopped Disney’s Marvel Studios from hinting at what could be arriving after the grand finale of its most successful superhero franchise ever, a run at the box office for “Avengers,” which has so far racked up $4 billion. Next up: taking a step back in time. In an interview with ScreenRant, Marvel Studios president Kevin Feige discussed the future of Marvel movies, particularly with the “Captain Marvel ” characters and how he thinks there is still a lot of story left that takes place in the past. “I mean, I think one of the things that’s fun to us about the timeline of this film and the potential of future stories with these characters is there’s a great past,” Feige said. “I think the fun part about seeing this portion of the MCU is that gap. ... The potential is there,” Feige later added in regards to whether or not consumers can expect more solo-prequel adventures for Samuel L. Jackson’s “Nick Fury” character. This year’s “Captain Marvel,” set in 1995, has grossed over $1 billion worldwide, but it may have an advantage coming shortly before this month’s final Avengers installment, with many avid comic book movie fans eager to understand how Brie Larson’s character connects to the rest of the Marvel Cinematic Universe. Though that marketing tease tactic isn’t new. Both “Captain America: The First Avenger” and “Captain Marvel” included post-credit scenes from upcoming Avengers films. “Honestly, I believe [Marvel] will lose just a little bit of steam post ‘Endgame.’ It’s only natural after the big set-up of ‘Endgame’ as the big finale. Everything that will come after that will fail in comparison,” said Daniel Richtman, a media influencer who specializes in big blockbusters. The box-office standard-setting in prequels is the other Disney blockbuster franchise: “Star Wars.” The late ’90s to early 2000s Star Wars trilogy, distributed by 20th Century Fox, grossed no less than $600 million worldwide for each film, according to Comscore. However, the two sequels to 1999s “Star Wars Episode I: Phantom Menace” failed to even come close to the film’s $920-million-plus worldwide total: “Star Wars Episode II: Attack of the Clones” grossed around $647 million worldwide, and “Star Wars Episode III: Revenge of the Sith” grossed around $847 worldwide, according to Comscore. When Disney acquired the rights to Lucas Films in 2012, it gave the Star Wars franchise new life with several of the recent films grossing $1 billion and more. “Rogue One: A Star Wars Story,” set prior to the events of the original Star Wars film, grossed over $1 billion and scored an 83 percent among critics on Rotten Tomatoes. But Disney’s most recent Star Wars prequel film, “Solo: A Star Wars Story” grossed just over $392 million on a $275 million production budget, according to Box Office Mojo, and has led to widespread questions about a “fatigue” point consumers can reach even with the most popular movie content. The acquisition of 20th Century Fox assets was finalized by Disney in late March and that brings in even more characters for Marvel Studios, among them, Ryan Reynolds’ “Deadpool” and the X-Men franchise. “Fortunately for them [Marvel] they got the X-Men, Deadpool, and many more popular characters back from Fox and with them the potential to build towards more big crossover events in the future,” Richtman said. There has been no official word from Marvel or Disney on when consumers can expect the Fox characters to join the Marvel Cinematic Universe. Marvel did not respond for comment. After next month’s “Avengers: Endgame,” 2019 will see only one more Marvel Studios film: “Spider-Man: Far From Home,” a partnered picture with Sony. After that, consumers know that they can expect sequels to “Doctor Strange,” “Black Panther” and “Guardians of the Galaxy: Volume 2” for which original director James Gunn was recently rehired by Disney, but none of these projects have official release dates. One film that Feige has talked about that could take Marvel in a completely different time-traveling direction is “The Eternals,” a film set for release in 2020 which tells the story of two races created by Marvel’s deities, The Celestials, millions of years in the past. The human-looking Eternals were created with superpowers to protect the earth from the other villainous race known as The Deviants. Feige suggested the movie could span over a 10,000-year period. Scarlett Johansson’s “Black Widow” movie is also looking to be set before 2012′s Avengers film, according to The Hollywood Reporter. The Harry Potter franchise has also been given a second life with its “Fantastic Beast” franchise, set 70 years prior to the Daniel Radcliffe- Harry Potter adventures. 2016′s “Fantastic Beasts and Where To Find Them” grossed over $814 million worldwide but its 2018 sequel, “Fantastic Beasts: Crimes of Grimwald” grossed just over $653 million worldwide, according to Box Office Mojo. 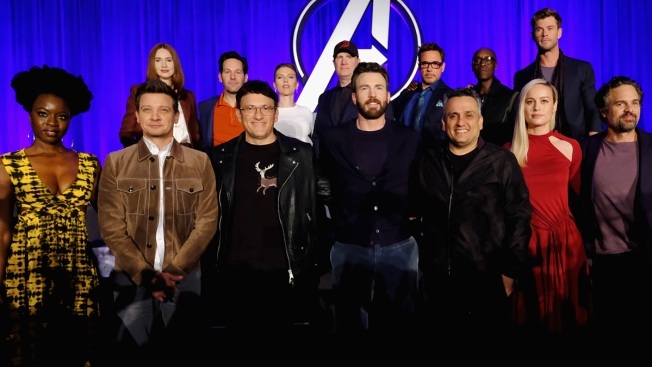 Doug Stone, president of Box Office Analyst stressed that Marvel’s assembly of characters is a strong advantage for its future and that there is a “substantial comic book fandom out there that knows the characters." “Audiences accepted a giant purple alien with a rhinestone glove killing half of the universe, so the sky’s the limit for what Marvel can adapt now and they have 80 years of stories to pull from and all of their characters are available now,” added media influencer Jeremy Conrad. “The MCU has twenty-one movies of solid success to build off and where they are now, where they successfully made the Infinity Gauntlet a $2 billion success in live action, means there’s really no limit to the crazy stories they can pull from in the comics and turn into live-action films,” Conrad later concluded.